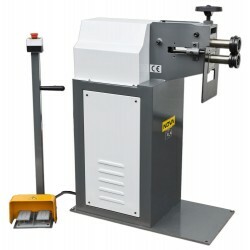 Rotary machine with 6 pairs of different rolls included. Maximum thickness for sheet 1,2mm (mild steel). Throat 381mm. 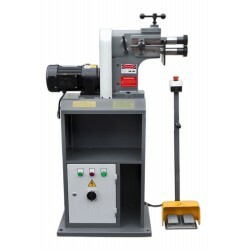 Rotary machine for sheet metal strengthening. 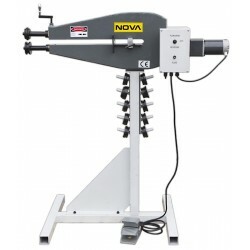 NOVA T-12 is superior model for extra heavy usage. Solid structure, high quality bearing, easily adjustable model. 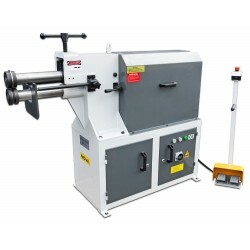 A large 610 mm electric rotary machine. 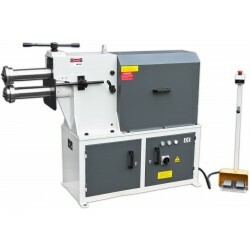 Stepless speed control from foot pedal.Sturdy construction that can withstand heavy use. Max. plate thickness 1 mm. Equipped with a 3 sets of rotary rolls. The motor is a powerful three-phase 1.5 kW. Works with foot pedal. Opening is 280 mm. Powered by electric motor. Designed for heavy use. NOVA TB-12. 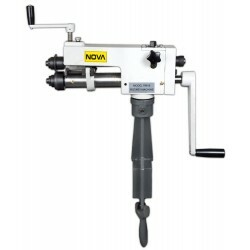 NOVA TB 25 is rotary machine for professionals in demanding use. 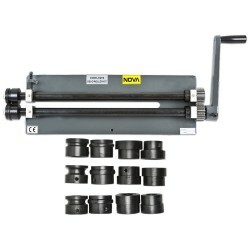 This machine comes with 4 pairs of rollers. Powerful 1.5 kW motor. 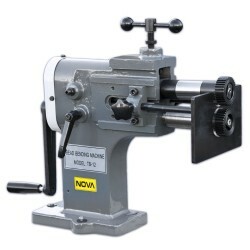 The Nova TB-40 rotary machine is made for professionals for demanding use.